For my last birthday, my husband surprised me with an early birthday present, a Wacom Intuous 3. He knows how these things make me swoon and regress to childhood. This year he went a step further. 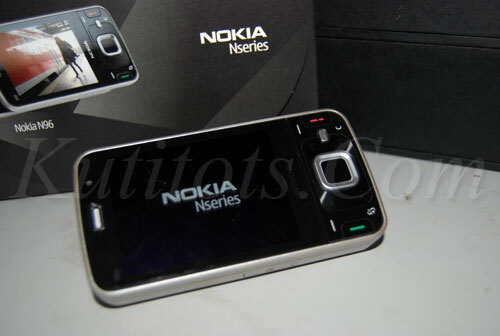 Marc got me the most expensive phone I ever owned for my birthday: a brand-new Nokia N96. I’m still in awe. Really. I can’t believe I can actually watch MTV live on my mobile phone. Not to mention the movies and TV shows I can store in its 16GB internal flash memory. So far, I’ve been playing around setting up my internet bookmarks. I played around taking photos and videos at Trinoma Mall this afternoon when I first got it, so now I’m more fixated on blogging (ok, fine, and Plurking) using my phone. I still got lots of features to explore (N96 is a far cry from my retired Nokia 5300). This phone is definitely going to keep me preoccupied in the coming days. This entry was posted on Wednesday, 8 October 2008 at 9:29 pm and is filed under Birthdays, Gadgets. Happy Birthday Gail! May God bless you and grant every desire of your heart. Can you subscribe to other channels like HBO, Animal Planet or Disney? Same price scheme? That’s one expensive phone! I only use my cellphone to call that’s why I insist that the wireless company gives me one for free.